Click here to read the Royals BP Top 10 Prospects. John Buck, Country Breakfast, and Jeff Francouer write-ups are courtesy of the nicest Mark in America, Mike Ferrin. Mike is on MLB Network Radio because he is a big shot. You can follow him on Twitter @MikeFerrinSXM. You can listen to him share his baseball wisdom with us on our 10th Barbecast by clicking here. What Happened to the Player in 2013: Meche is still busy walking away from $12 million dollars. It’s unclear how far away he’s managed to get from said $12 million dollars. Strengths: When people repeatedly ask you why in the world you would wear a derpy Gil Meche jersey, just remind them that Mr. Meche was drafted 662 spots ahead of Roy Oswalt in the 1996 draft. Yeah. That happened. You’re also getting a combo package with the equally derpy Mark Teahen. Weaknesses: You don’t want to be mistaken for Gil Meche, the guy who walked away from $12 million dollars. Also, much most Royals fans, this shirsey is DISTRESSED. The Year Ahead: He’ll continue to walk away from the previously mentioned $12 million dollars. Maybe he’ll even start running away. What Happened to the Player in 2013: Teahen started the year with the Rangers and played a couple months in Round Rock before his release. He then signed on with the Independent York Revolution and proceeded to revolutionize things. Strengths: Just like the brother Gil Meche shirt, the lettering is not normal. It looks kinda skinny. I guess Teahen’s been working out. Despite problems that come with the white shirt, the material looks fantastic. Great price. Weaknesses: There’s a stain on the front; common of white shirts which are prone to such staining. This shirsey will probably make you ground into a lot of double plays in daily situations. I don’t know what that means but Mark Teahen led the majors in GIDP in 2007 so that’s where that joke came from. Alright. The Year Ahead: Could be quickly transformed into a Teahen Tie-Dye shirsey and we all know how much we love/hate/love/hate/love those. What Happened to the Player in 2013: Chevrolet’s “STRONG” ad campaign drove baseball fans to the brink of spontaneous combustion. We retaliated with fire… and Rock Shoulders. Strengths: “Who’s Chevrolet?” Your friends will ask “Did he play second base?” Because let’s face it, John Chevrolet sounds like a scrappy second baseman from somewhere in southern Indiana. Raised by Irish-American parents, he fought his way through elementary school, curb stomping bullies with his kid size 12 light up Mickey Mouse shoes. From there, he grew up to become the all time points leader for the Jebediah A. Whoppingham Junior High School basketball team as a 4’8 twelve year old. Chevy, as his friends called him, finally started focusing solely on baseball during his sophomore year for the Murray Stinkytits High School Fighting Root Canals. He went on to dominate D7 college baseball at the University of The Lord’s Redeemed Savior’s Holy Cross Christ Davis College in Jesus, Indiana. After being drafted 1st overall by the Royals he shot up their minor league system as well as heroine which unfortunately sidetracked his career and led to his untimely death in 1987. He is survived by his dog Abacus and his pet box of goldfish Mark. Weaknesses: “Please let me know if you have any questions” Uh, excuse me, I HAVE ALL THE QUESTIONS. Overall Future Potential: 6; it could be the kind of shirsey that helps you find your cow in the rain. Risk Factor/Injury History: High; a lot of miles on that bad boy. The Year Ahead: If we fix the rear axel and tweak the steering dynamics, we might be able to salvage a career for Chevrolet. If not, we’re looking at a shirsey you wear at the gym and eventually use as nothing more than a rat tailing weapon. Best friends of the BBQ Jason Cole and Zach Mortimer are leaving Baseball Prospectus and the internet world to go work for actual baseball teams. We met both of these guys in July at the DC BP event and they have been fantastic friends ever since, except for Cole. Click here to read the Twins BP Top 10 Prospects. 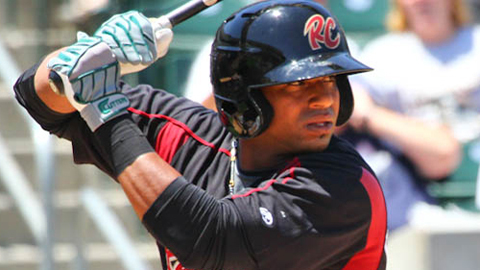 What Happened to the Player in 2013: Spent time with Triple-A Fresno and Columbus. Finished up the year pitching with a team called the President 7-Eleven Lions in Taiwan. Seriously. Weaknesses: Name, for obvious reasons. The shirt says BOOF on it, you guys. Risk of being labeled a boof for the rest of time. Overall Future Potential: 7; Slots somewhere between tuxedo t-shirt and Superman ringer tee in your wardrobe. Realistic Role: 5; Cheap joke potential at parties. Risk Factor/Injury History: High; Boof has been consistently injured throughout his big league career. There is little reason for this to change. The Year Ahead: Beats the hell out of me. Maybe he’ll sign with the Mets. Wardrobe ETA: The sooner the better. More precisely, spring 2014. What Happened to the Player in 2013: Valencia emerged as a decent platoon option for the Orioles against lefties, which is more than I can say for you. Strengths: The best part of this shirsey is that the number on the Twitter handle doesn’t match the number on the shirt. Valencia changed his number between 2011 and 2012, but didn’t change his Twitter handle. Another important question to ask is why the Twins felt it necessary to make a twitter handle shirsey for someone who just slashed .246/.294/.383 in 608 plate appearances. Both of these factors contribute to maybe the best derp in the game. It’s the kind of derp you can dream on. The only other plus tool here is player obscurity which grades out as a legitimate weapon. Weaknesses: It’s a Twitter handle shirsey. Despite such impressive derp, it might play down a grade because of the dorkiness of having a Danny Valencia Twitter shirsey. Overall Future Potential: 7; the derp allows for a high ceiling you can dream on. Realistic Role: Low 6; it’s derpy enough that you’ll be able to wear this to any black tie event. Risk Factor/Injury History: Low; many moons will rise, many babies will be born, many years will roll by…but this will always be a Danny Valencia Twitter shirsey. The Year Ahead: If Valencia can continue to market himself to the social-media savvy members of the Cuban-Jewish community, this shirsey should start flying off the shelves.